Nigel’s talk will present the various archival sources that were used to research his book ‘1847 dispossession and migration’. He examined the story of three farms in his book, each with a fascinating story to tell. The farms are: Moordenaarsgat; Ongeluksfontein and the former Rhenish mission station De Tuin. The first two have particularly ominous sounding names! The talk will focus on the research methods that Nigel used, rather than the story- for that you will have to buy the book! Nigel points out that by using historical records it sometime possible to determine occupation dates of buildings. These records include: loan farm records, title deeds, lease contracts, tax records, wills, Government Notices and general correspondence such as memorials, letters of complaint etc. The book will be on sale at the talk at a significantly discounted price of R150,00. I’m sure that the author can be persuaded to sign copies! Our speaker, Nigel Amschwand, is a long-standing member of the Vernacs and served on the committee as treasurer for a number of years. 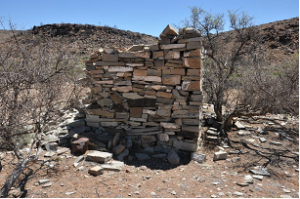 An engineer by training, Nigel has a great enthusiasm for our vernacular past, with an interest in the old routes as well as the histories of the families that populated the often remote reaches of the Cape hinterland. He has also organised many measuring up trips with an intrepid group of members, including among others, the late Guido Lugtenburg who recorded the surveys in beautiful detail. 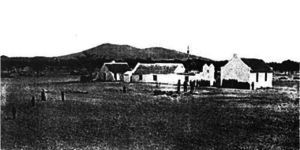 Their survey of Matjesfontein farm has been published in an earlier VASSA journal. Nigel is also the author of ‘Short history of the Onder-Bokkeveld’, which was published in 2009.